The update we expected came! Chat in the match! 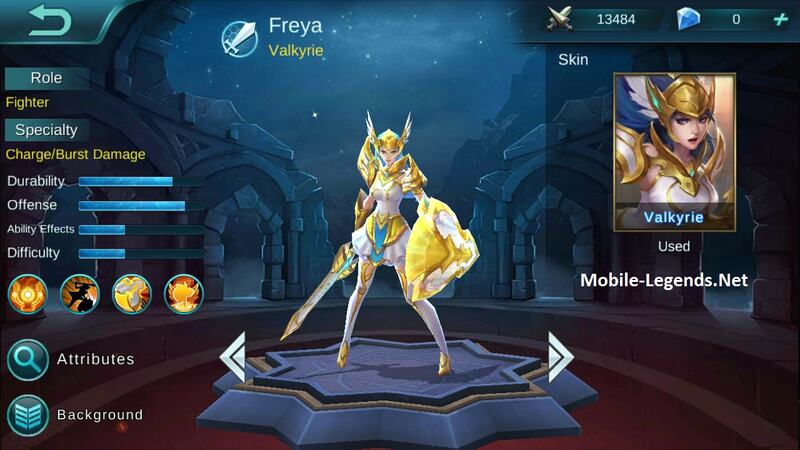 The Mobile Legends game continues to improve itself. 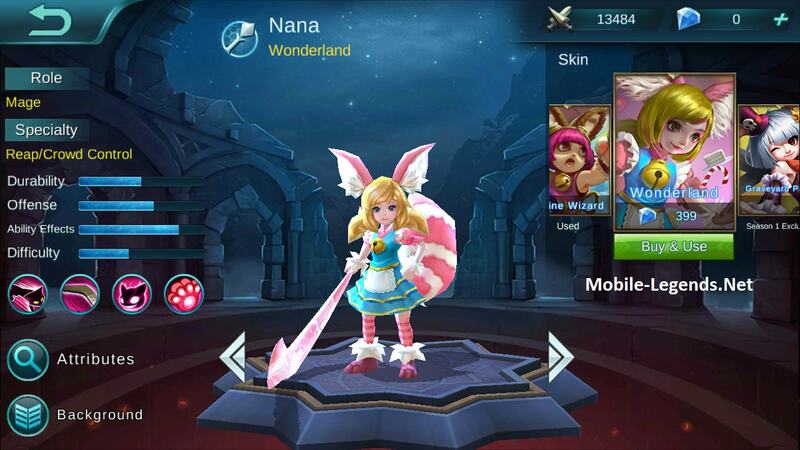 Patch Notes 1.1.38.125.1 New hero system changes and more. BrawlMode Alive! Single-lane 5v5, No Regeneration, Fight Until Death! Adjusted the cap of Battle Points gained from matches in a week. Now you can chat in matches by sending text to other players. 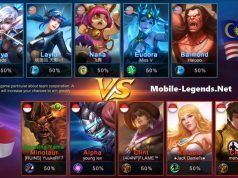 Brawl Mode Alive! Single-lane 5v5, No Regeneration, Fight Until Death! You can switch to the Brawl Mode in the homescreen. 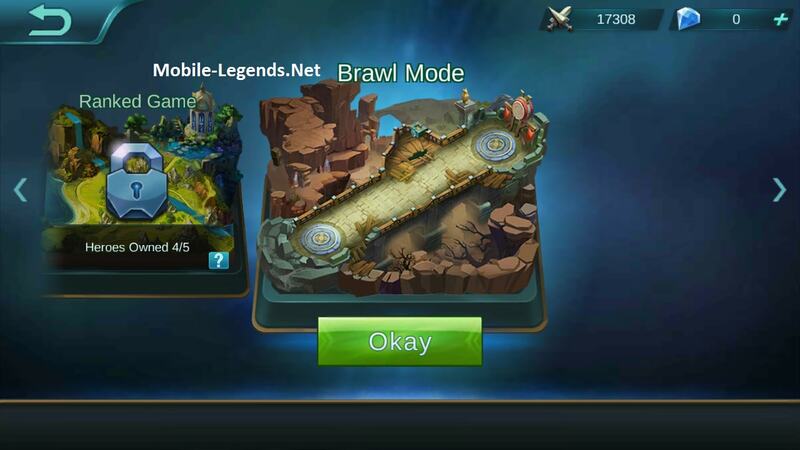 The Brawl Mode offers either solo or team matchmaking. Boomerang: Lowered the speed of bullet from 12 to 10. Increased the HP growth of each level from 157 to 191. Alucard’s abilities will no longer cost mana any more. Shadow Rush: Each assist will reduce the remaining cooldown by 70% now. Volley Shot: Reduced the radius of bullet from 0.5 to 0.3. Reduced the attack speed growth of each level from 2.45% to 2.1%. Electric Arrow: Increased the stun duration from 0.75s to 1s. Increased the duration of additional stun from 0.75s to 1s. Increased the basic attack speed by 10%. Reduced physical attack growth of each level from 14 to 10. Increased the attack speed growth of each level from 1.4% to 2.6%. Phantom Shuriken can penetrate enemies now. Quad Shadow: Phantoms won’t hit the same target now. Endless Battle Replaced the second passive Rage with Chase Fate. Chase Fate: When Divine Justice’s effect is triggered, it will increase the hero’s movement speed by 15%. Blade of Despair Adjusted the effect of Despair. Depair: Deals 15% bonus damage to enemies slowed, knocked up, transformed, suppressed. Frost Freeze: Skills that damage an enemy hero will carry a 10% slow down effect. This effect lasts 3s and can stack up to 3 times. Optimized recommended equipment of all heroes. 1. You can turn back your hero more smoothly when moving or attacking. 2. Added Hero Lock Mode in Controls. 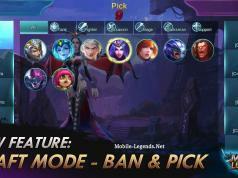 After you turn on this mode, you can see the avatar of enemy heroes in your vision and lock them quickly. 3. Added Last Hit Attck in Controls. After you turn on this mode, you can force your hero to attack towers under 10% HP with the Last Hit Button. 4. Swap the unlocking level of battle spells “Execute” and “Retribution”. Now Execute will be unlocked earlier than “Retribution”. 6. Adjusted the basic damage, damage growth and scaling ratio of all abilities. We hope these changes will reduce the frequency of solo kill and slow the pace of matches, making players more willing to cooperate with each otehr. 7. Besides cannons, melee and ranged minions will also become super minions now. 8. Increased the attack speed of Base. 9. The camera will immediately switch to the fountain after your hero dies or recalled. 10. Optimized the system of recommended equipment, it will more suitable to the situtation of matches. 1. If all players in a team belong to a same country. Their national flag will be shown in the loading and result screen. 2. If a match is competed between two teams of two countries. The winning team can share share their national victory to Facebook in the result screen. 3. Players’ countries will also be displayed like their avatars when they get kills, assist or etc in matches. 4. Adjusted the cap of Battle Points gained from matches in a week. Players now can acquire 7,500 Battle Points from matches in a week. The number of chests you can get is no longer limited. The max battle points a player of ≥90 Credit Points can get in a week is 7,500. The max battle points a player of 71-89 Credit Points can get in a week is 6,000. The max battle points a player of 71-89 Credit Points can get in a week is 4,500. Add 1,500 Battle Points to the max number you can gain in a week. 5. Now you can continue downloading the updates from the breakpoint. 6. Optimized the mechanics of Double BP Card. If the number of Battle Points you gain in a week has already reached the cap, the remaining time of Double BP Card will be freezed until the next week. 7. Optimized the Friend List in the home screen. Now you can view a friend’s profile and send message to him by tapping his avatar. 8. Added a bubble of dynamic downloading. 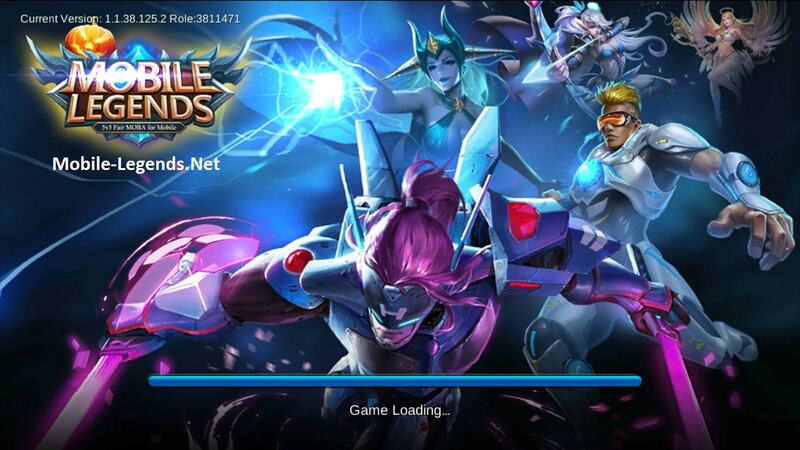 We suggest you download all resources under Wi-Fi before starting a match. 9. Added report system. Now you can report players who is AFK, Delibrate Feeding or Cheating. 10. You can win a Double BP Card once every day after sharing your victory to Facebook through share button. 11. Optimized the order of achievements. Achievement with claimable rewards will be displayed on the top. 12. Optimized the graphics quality on iOS devices. 13. Optimized the background music, sound effects in the game. 14. Added a new achivement “Brawl Master”. You can achieve it after win the required number of matches in the Brawl Mode. 1. Fixed the issue where Hayabusa would stop miving after it casted Skill 2. 2. Fixed the issue where Minotaur were unable to cast skills. 3. Fixed the issue where player become Elite III they lose a match in Warrior I. Previous articleIs the game fast or slow?